Rembrandt van Rijn (Dutch, 1606 – 1669), "Self-Portrait, Aged 23". Oil on oak panel, 1629. Isabella Stewart Gardner Museum, Boston (P21n6). 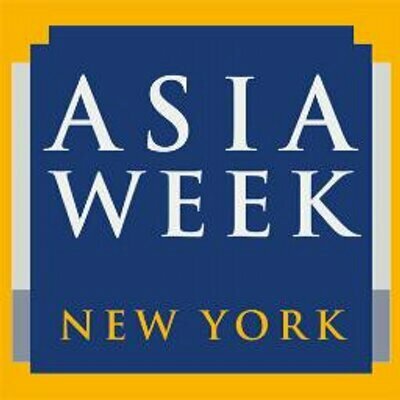 BOSTON, MASS.- This spring, the Isabella Stewart Gardner Museum in Boston presents Off the Wall: Gardner and Her Masterpieces, displaying 25 of the collection’s most esteemed works of art by masters including Rembrandt, Botticelli, Michelangelo, Raphael, and Rubens, which will be moved from the Museum’s original palace into the contemporary Hostetter Gallery. The exhibition opens March 10 and runs through Aug. 15, 2016. 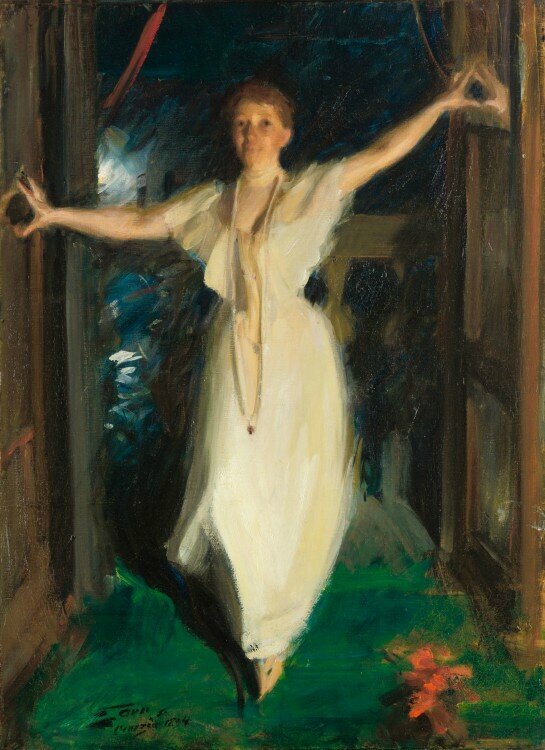 Anders Zorn (Swedish, 1860-1920), "Isabella Stewart Gardner in Venice", 1894. Oil on canvas, 91 x 66 cm (35 13/16 x 26 in.). Isabella Stewart Gardner Museum, Boston (P17e10). 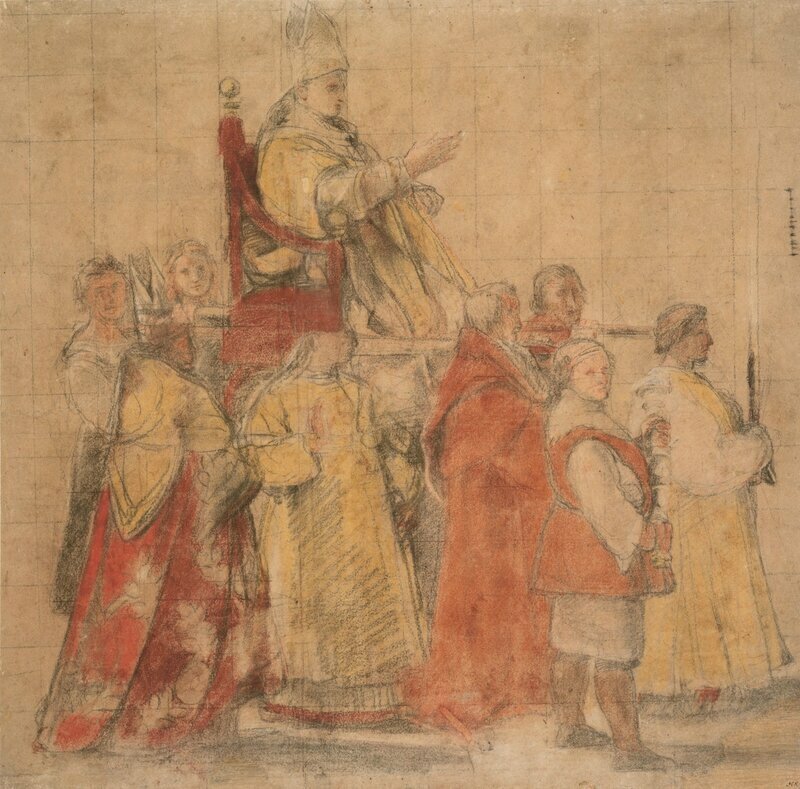 Raphael (Italian, 1483-1520), "Procession of Pope Sylvester I", about 1516-1517. Colored chalks on paper, 39.8 x 40.3 cm (15 11/16 x 15 7/8 in.). Isabella Stewart Gardner Museum, Boston (1.1.r.12). 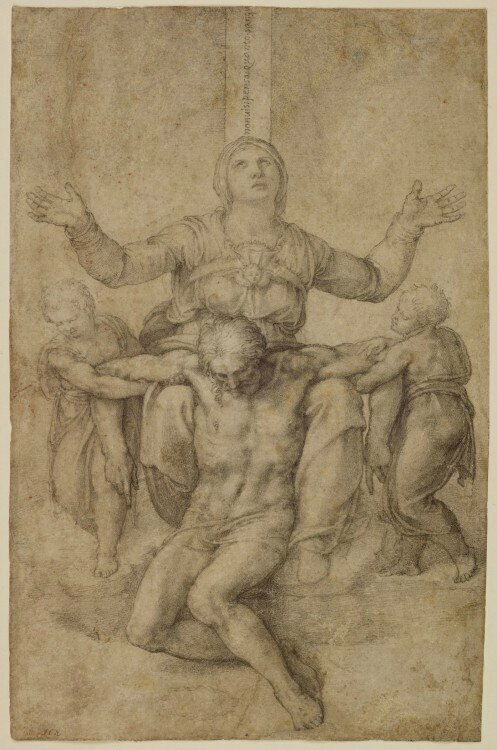 Michelangelo (Italian, 1475-1564), "Pietà", 1540. Black chalk on paper, 28.9 x 18.9 cm. Isabella Stewart Gardner Museum, Boston (1.2.o.16). 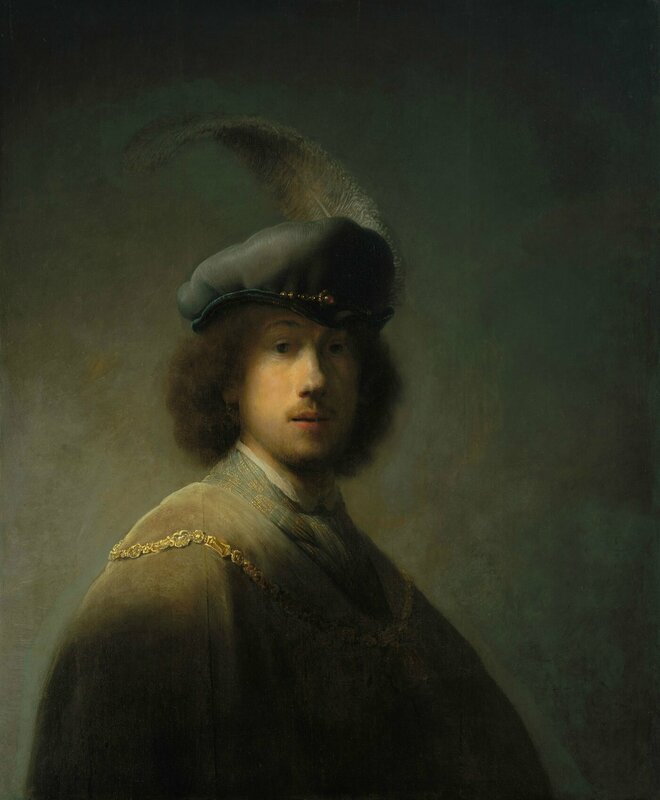 The works selected for Off the Wall allow visitors to trace Gardner’s extraordinary journey as a collector of Northern European, Italian, and Spanish art. They include: Rembrandt’s Self-Portrait, Aged 23 (1629); Anders Zorn’s portrait of Isabella Stewart Gardner in Venice (1894); Raphael’s Procession of Pope Sylvester I (1516-1517); Michelangelo’s Pietà (1540); Fra Angelico’s The Death and Assumption of the Virgin (1430-1434); Raphael’s Lamentation over the Dead Christ (1503-1505); Piero della Francesca’s Hercules (1470); Sandro Botticelli’s The Tragedy of Lucretia (1499-1500); and Raphael’s portrait, Count Tommaso Inghirami (1515-1516). 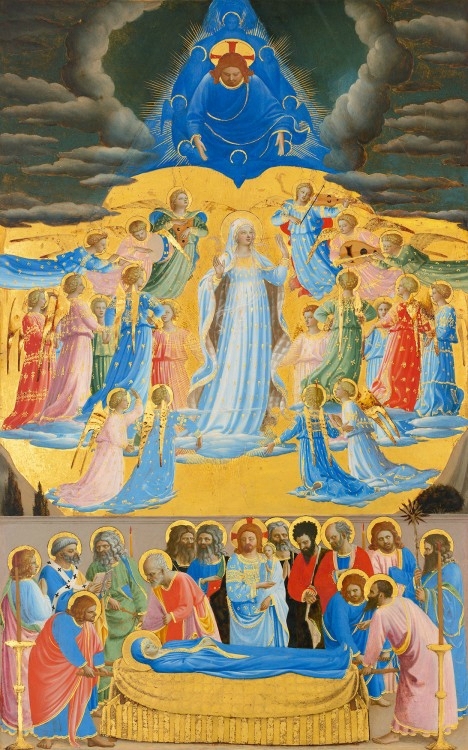 Fra Angelico (Italian, about 1400-1455), "The Death and Assumption of the Virgin", 1430-1434. Tempera on panel, 61.8 x 38.3 cm (24 5/16 x 15 1/16 in.). 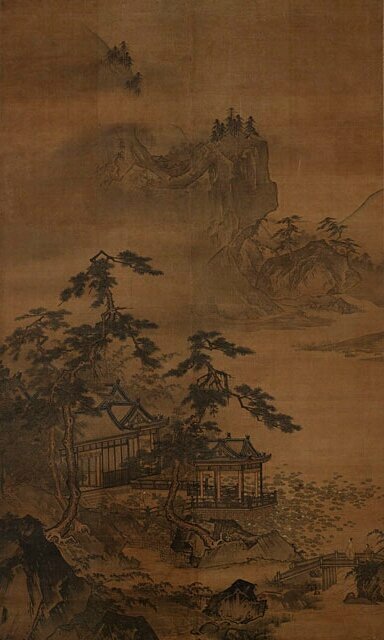 Isabella Stewart Gardner Museum, Boston (P15w34). “Every time we move one of our artworks—even the most iconic ones—out of the palace for photography or conservation analysis, we see new details that we had not before noticed,” Dr. Nielsen said. “We are thrilled to give our visitors the opportunity to go behind the scenes, in a way, and make new discoveries of their own.” In contrast to the museum’s permanent collection galleries, interpretive tools will provide information about the individual works of art and will also shed light on how they were acquired by Gardner. 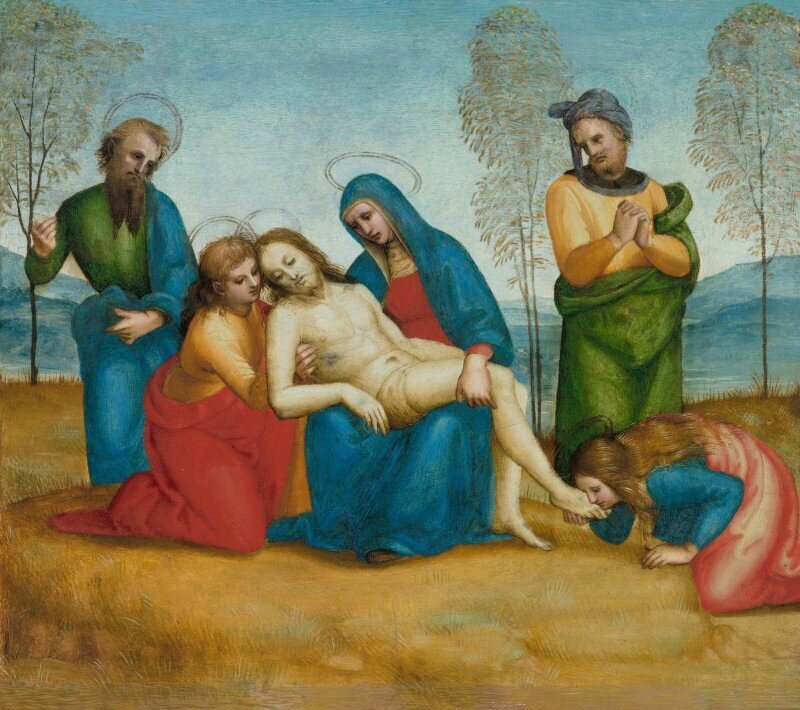 Raphael (Italian, 1483-1520), "Lamentation over the Dead Christ", about 1503-1505. Oil on poplar panel, 23.58 x 28.8 cm. Isabella Stewart Gardner Museum, Boston (P16e3). A small new exhibition space called the Vatichino is also being renovated near the Museum’s original entrance in the historic palace to showcase a selection of Gardner’s vast collection of archival materials, letters, albums, souvenirs, and photos. About 40 rarely seen mementoes will be featured as part of the Off the Wall exhibition, helping to share the story of Gardner as a collector, a traveler, and a cultural impresario. 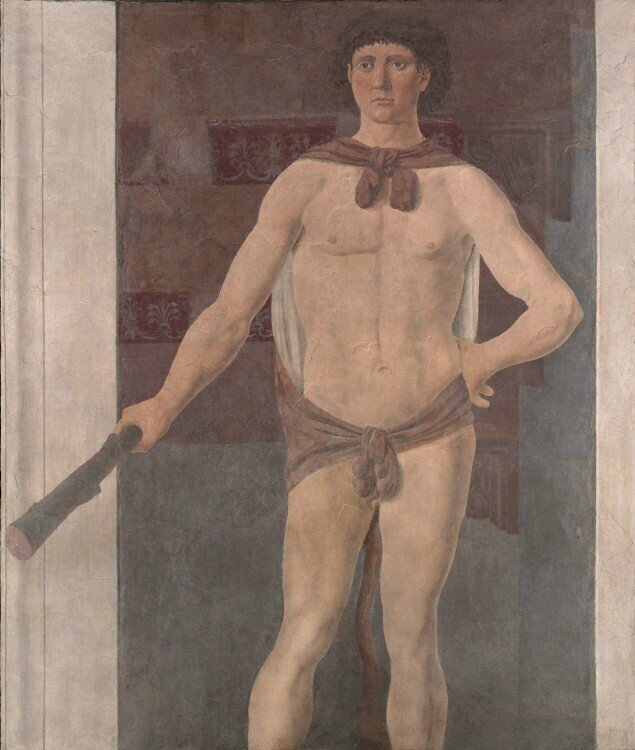 Piero della Francesca (Italian, about 1415–1492), "Hercules", about 1470. Tempera on plaster, 151 x 126 cm (59 7/16 x 49 5/8 in.). Isabella Stewart Gardner Museum, Boston (P15e17). Sandro Botticelli (Florence, 1444 or 1445 - 1510, Florence) Italian, "The Tragedy of Lucretia", 1499-1500. Tempera and oil on panel, 83.8 x 176.8 cm (33 x 69 5/8 in. Isabella Stewart Gardner Museum, Boston (P16e20). The exhibition is organized by Dr. Christina Nielsen, William and Lia Poorvu Curator of the Collection; and Dr. Casey Riley, Curatorial Fellow. 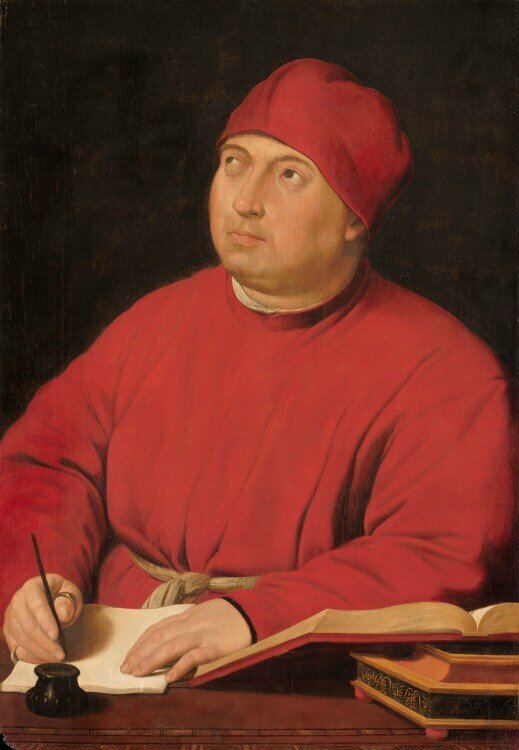 Raphael (Italian, 1483-1520), "Count Tommaso Inghirami", about 1515-1516. Oil on panel, 90 x 62.5 cm (35 7/16 x 24 5/8 in.). Isabella Stewart Gardner Museum, Boston (P16e4).